I'm a big movie fan and I've got opinions, so in addition to my fiction, I maintain a review blog, Doug's Reviews. The bulk of my reviews are film-related, but I also cover other areas of entertainment. If you want to know whether that new flick at the local cinema is worth the price of admission, head on over to Doug's Reviews and get the scoop! NOTE: Had a little snafu with Blogger recently, so my latest reviews are being hosted over at The Hodgepodge Podcast, but the archives are still at Doug's Reviews. Just two guys talkin' about movies and stuff. In addition to movie reviews, I also produce a podcast with my buddy, Dirty A, called The Hodgepodge Podcast. Like my review blog, we mainly discuss movies, but we also talk about Music, TV, and other Pop Culture topics. From time to time, Dirty A and I will have guests drop by and chat with us - guests like author Matt King. You can also find us on You Tube and subscribe to us on iTunes. Below is a gallery of our most recent episodes. To check out the archive, click the link to the left. Check them out! 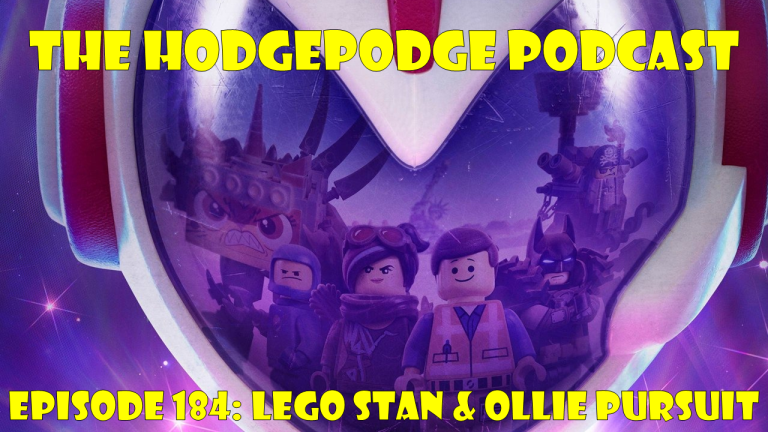 EPISODE 185: "GRETA ON MY NERVES"
Episode 184 of The Hodgepodge Podcast finds Doug and Dirty A discussing the films Lego Movie 2: The Second Part, Stan & Ollie, and Cold Pursuit. Doug also gives his thoughts on Serenity (2019) and The Kid Who Would be King. Will any of these make their top of 2018 lists? Episode 172 marks the 5th Anniversary of The Hodgepodge Podcast! Instead of taking a trip down memory lane, which Dirty A would no doubt be unable to recall, the boys discuss one of their favorite film series, Indiana Jones! Well...3/4 of a favorite film series. For those who have been with us this long, thanks for your support! And for those who are recent listeners, thanks for coming aboard! Here's to (gulp!) another five years! Take a listen! 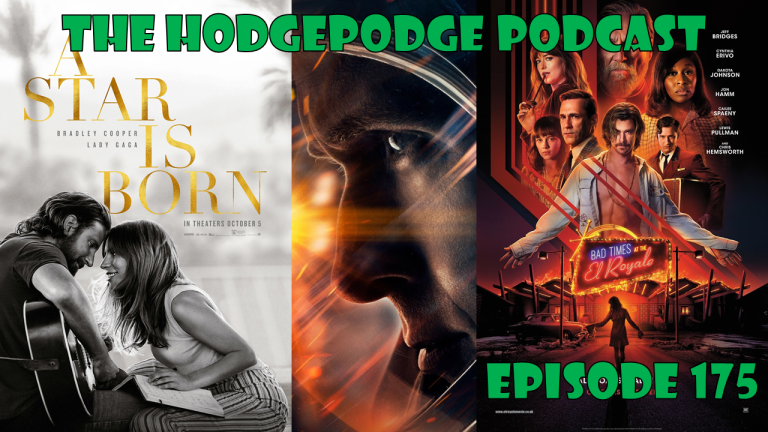 With Episode 167 of The Hodgepodge Podcast, Doug and Dirty A welcome back friend of the show Matt King as well as their buddy Andre to discuss Solo: A Star Wars Story! Watch out for spoilers throughout and listen to the end for a brief discussion of Andre's thoughts on The Last Jedi. 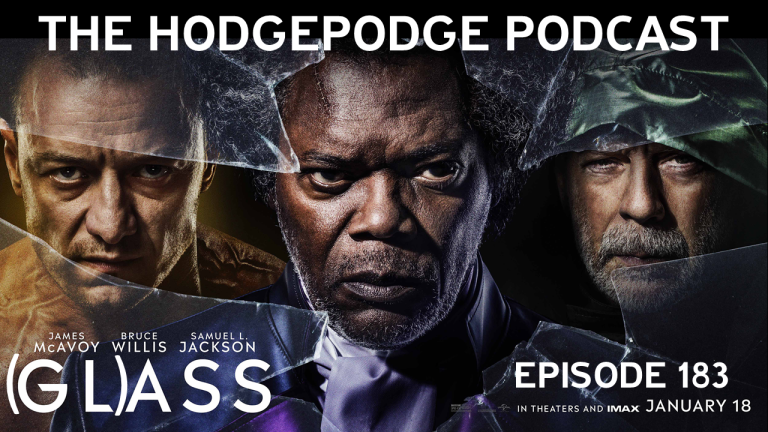 Doug was busy with the acting thing, but he and Dirty A are back with Episode 164 of The Hodgepodge Podcast. The boys welcome back Matt King to discuss Marvel's box office juggernaut, Avengers: Infinity War!